What are the Techniques followed for Stock Analysis ? 1.Fundamental Analysis: Looks in to all the Details of the company Like Financials , Earnings, Dividents & the Companys management. 2. Technical Analysis: looks into the company's stock value only over a period of time Patterns,Trends Market Cyclogy. By comparing the stock price against its moving average and other calculated chart lines. A company's financial statements are less important in this type of analysis. 3. Index method: In this type of analysis, investors value their portfolio by trying to create diverse investment strategies.The investment portfolio is weighted by market capitalization. 4.Analyzing using Inside information: Some investors try to analyze thestock market by using information gained from insider sources in a company. This is illegal in most places. 5. 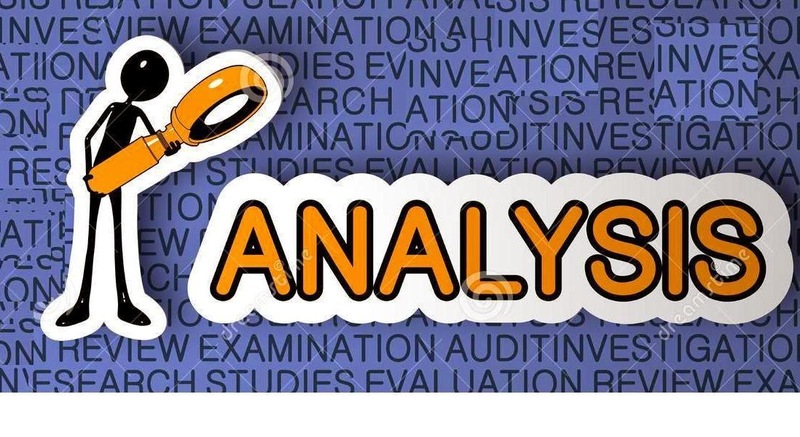 Comparative Analysis of stocks : In this method of analysis investors compare different stocks, trying to figure out which stocks are yielding more profit and which stocks are most likely to offer profit in the future. This type of analysis make it easier when deciding which stocks to buy and which to sell. 6. Earnings revisions of stocks and the services of an analyst: In this method of analysis investors look at analysts projections and earnings expectations. 7.Stock analysis software: Investors use software to evaluate investments regularly and make them alert. What are different types of stocks in Stock market? 1.Common stocks: These stocks are stocks that offer you a bit of ownership of a company. Entitles you to some dividends and allows you one vote for each share you own in electing directors or making key business decisions. These stocks are different from debentures or bonds. which are money given to a company as a loan in return for the promise of specific interest. 2. Preferred stocks: These stocks offers you preferential treatment when it comes to paying of dividends.If you have preferred cumulative stock, your position is secure.Those holding preferred types of stocks usually have no voting ability. 3. Growth stocks: The stocks which increase their sales and earnings from one year to the next year by at least 15% will come under growth stocks. The company with growth stocks is generally a stable company. 4.Value stocks:The stocks that were beaten down due to temporary problems will come under value stocks.Investors believe that the stock market overreacts to news about a company. 5.Dividend Stocks: The stocks which gives dividends based on thenumber of shares owned and typically on a quarterly basis and financially solid will come under dividend stocks. 6. Seasonal Stocks:Stocks which grows according to the seasons are seasonal stocks. 7.Blue chip stocks: Companies who are considered leaders in their industries and show promises of long term success. They have good reputation for dividend payout and have recognizable brand. 8. Technology stocks: Technology stocks are stocks bought from companies that are involved in higher technology sector. 9. Speculative Stocks: These stocks are riskier stocks and often offer a greater chance for higher profit but also pose a greater risk. These stocks are generally good only for very confident investors. 10.Low-risk,Medium-risk and High-risk stocks: Stocks from banks and utilities fall into the Low-risk stocks. Those stocks which have good history of dividend payout considered medium-risk. Penny and Speculative stocks fall into the High-risk stocks. What are the type of Share Market ? Primary market: Primary market is the place where the shares are issues for the first time. So when a company is getting listed for the first time at the stock exchange and issuing shares- this process is under taken at the primary market. That means the process of the Initial Public Offering or IPO and the debentures are controlled at the primary stock market. Secondary market: The secondary market is the stock market where existing stocks are brought and sold by the retail investors through the brokers. Generally when we speak about investing and trading at the stock market we mean trading at the secondary stock market. Bombay Stock Exchange(BSE) : This exchange is a conventional stock exchange with trading floor and operating mostly offline trades. 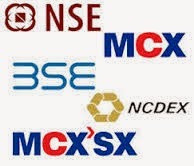 National Stock Exchange(NSE) : This exchange is completely online stock exchange. Both the BSE and NSE have these types of stock markets. Equity Market or the cash segment: In this type of trading the buyers of the stocks book buying order with a bid price and the order is executed through the broker at a negotiated ask price offered by the sellers at the market. In this type of trading the buyers pays the entire amount of the value of the stocks. Once the buyers pays the entire amount along with the brokerage and taxes of the transaction, the stocks are deposited to the DP account of the buyer. Derivative Market: In derivative market trading is done mainly through two instruments. In both these types of contracts the stocks are bought and sold in lot. For trading in Derivative Market you have to buy either the future contract or the Option contract. In future contract you are bound to close the deal within a specific time and at a fixed rate. While in case of option contract you can also choose to ignore the contract. Google Feedburner is free & allows to directly deliver any new post on this blog to your email .If you are interested kindly enter your Email in the “Subscribe Via Email” on the top left hand side of the navigation menu’s. Get free trading tips from Epic Research Financial Consultant and get daily basis profit with your investment.